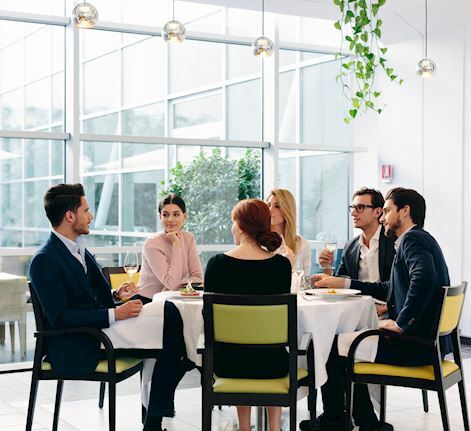 Wandering into the Il Canneto Restaurant at the Sheraton Malpensa Hotel alone, with colleagues, friends or family, you enter a stylish airy andlight-filled interior of chic dark wood and marble. Your eye is caught by a 6-meter-high crystal glass Wine Tower in the centre of the restaurant. You instantly feel this is a space where you can relax and really make the most of your time. Any time of the day, the Executive Chef will impress you with his culinary creations and innovative approach to cuisine. He strongly believes that cooking is a fundamentally dynamic art, and says that one of the most satisfying aspects of his work is "reinventing food". His ideas and creativity turn Il Canneto's menu into an always changing and mouth watering surprise. Flying Lunch Enjoy a delicious healthy lunch in only 15 minutes for €16 from Monday to Sunday, 12:00pm to 2:30pm! 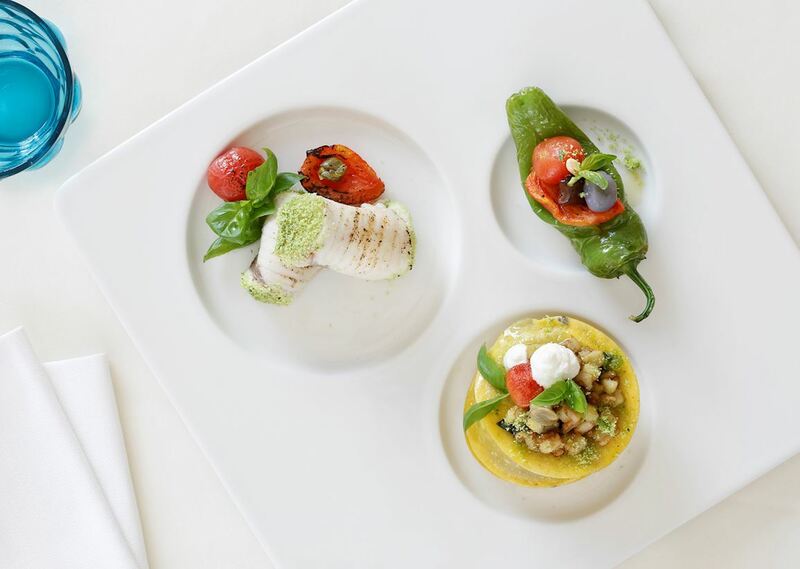 The Executive Chef presents a Mediterranean, weekly changing lunch at Restaurant Canneto with four options to choose from certain to please all those before departing or just landing in Milan. Round your flying lunch off with one of our homebaked tarts & cakes or taste our ice-cream created with natural flavors.